Our Manhattan LASIK surgeon, Eric R. Mandel, M.D., is the founder and medical director of Mandel Vision®, the premier laser vision correction center in the New York metropolitan area. Dr. Mandel has participated in refractive laser research for over 30 years, including FDA investigations for advanced uses of the excimer laser. Additionally, Dr. Mandel was named by The Consumer’s Research Council of America as one of America’s Top Ophthalmologists in 2010, 2011 and 2012. Dr. Mandel has lectured at both national and international meetings and authored the ophthalmic textbook Atlas of Corneal Disease. Additionally, Dr. Mandel was featured in the September/October 2000 issue of Review of Ophthalmology as an international expert on LASIK. A Board Certified Fellow of the American Academy of Ophthalmology, Dr. Mandel has undergone rigorous training in the field, including an internship at NYU Veterans Hospital, residency at Lenox Hill Hospital, and fellowship at Harvard Medical School’s Massachusetts Eye and Ear Infirmary. As a leading New York LASIK surgeon, Dr. Mandel has been instrumental in the development of the excimer laser, the device used to reshape the cornea during laser vision correction surgery. In 1984, Dr. Mandel was a co-author of “Excimer Laser Radial Keratotomy,” one of the first papers in the world which argued that excimer laser technology would revolutionize the field of refractive surgery. This advanced level of research, helped Dr. Mandel earn the Burrough Wellcome® Fellowship for laser research, an award presented by Harvard’s Ocular Laser Research Laboratory, as well as the William Warner Hoppin Award, given by the New York Academy of Medicine. From the mid to late 1980s, Dr. Mandel wrote an ophthalmic textbook entitled Atlas of Corneal Disease , and lectured on the subject at meetings in the United States and around the world. More recently, our New York LASIK Surgeon, worked with the FDA to investigate advanced uses of the excimer laser. This research provides our patients with the benefit of the safest, most effective technology and the most sophisticated equipment in laser eye surgery. As a member of the Columbia University faculty during 1998 and 1999, Dr. Eric R. Mandel instructed international LASIK surgeons on the proper use of the microkeratome. Now, Dr. Mandel personally trains other LASIK surgeons and top eye doctors in New York at the Mandel Vision® facility in Manhattan. Dr. Mandel was the first LASIK surgeon in the New York area to be actively involved in wavefront technology research and diagnosis. As a top Manhattan LASIK surgeon, Dr. Mandel presented his wavefront research at the International Society of Refractive Surgery. He also was a guest speaker at the AMO Innovators Forum where he presented a paper about the iLASIK system during the annual American Academy of Ophthalmology meeting in Chicago in October of 2010. To learn more about the expertise of one of the Top LASIK Doctors in New York, do not hesitate to contact our New York LASIK practice. Dr. Mandel can help you achieve the vision you desire through the LASIK laser vision correction procedure. Laser eye surgery patients seek our LASIK surgeon from all over the country, including New York, New Jersey and Connecticut, so that they can see their world clearly. Dr. Mandel is a Harvard-trained corneal specialist who exclusively performs LASIK and PRK laser vision correction procedures in our state-of-the-art laser center in Manhattan. Click here to learn about our cutting edge technology. A pioneer in laser vision correction, Dr. Mandel co-authored “Excimer Laser Radial Keratotomy,” one of the first papers in the world which argued that excimer laser technology would revolutionize the field of refractive surgery. Dr. Mandel is the only exclusive laser vision correction surgeon in New York named in America’s Top Doctors, by Castle Connolly, the most discriminating of the peer surveys, for 16 consecutive years. Dr. Mandel has also been recognized as a Top LASIK Doctor, New York Metro Area, by Castle Connolly, for 16 consecutive years. Dr. Mandel has been honored with the Patients’ Choice Award from 2008-2015. Less than 5% of the nation’s physicians were accorded this honor for “rave reviews across the board” from their patients. Dr. Mandel was again selected as one of the Best Doctors in New York by New York Magazine in 2013. 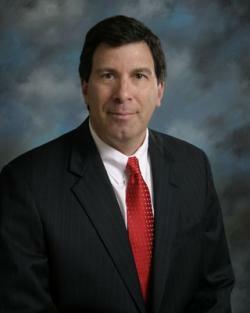 In March of 2012, Dr. Mandel was recognized as a Top Doctor, by U.S. News & World Report, for the 3rd consecutive year. Only the top 1% of doctors in the nation are accorded this honor. Dr. Mandel was named in the Guide to America’s Top Ophthalmologists, 2012 Edition, by the Consumer’s Research Council of America. Mandel Vision® is an approved advanced teaching center for the training of a corneal fellow by the State University of New York. During April 2002, at a VISX® Wavescan meeting, LASIK surgeon Eric Mandel, of Manhattan, presented the first study in the world to prove that current applications of wavefront technology yield better results. Mandel Vision® was the first VISX® Center of Excellence in the New York metro area. As one of the foremost experts on LASIK laser eye surgery, Dr. Mandel was invited as a LASIK authority to be part of the “Breakfast with the Experts Roundtable Program” for the American Academy of Ophthalmology Meeting in November 2001. This was an opportunity for LASIK surgeons around the world to personally ask New York LASIK surgeon, Dr. Mandel, their questions. As a part of the 2001 American Academy of Ophthalmology Symposia, the International Society of Refractive Surgery has honored Dr. Mandel by inviting him to speak as a noted expert on LASIK Surgery. Twice the recipient of the VISX® Star award, as one of the top doctors in New York and leading LASIK surgeons in the United States. Invited as a “noted expert” to speak about LASIK at the October 2000 meeting for the International Society of Refractive Surgery.